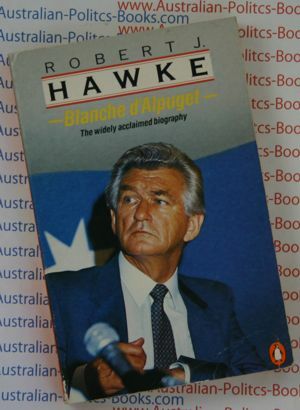 Since its first publication in 1982, Blanche d'Alpuget's Robert J Hawke: A Biography has remained the benchmark by which other political biographies are measured. 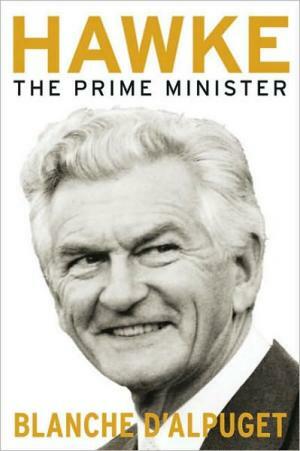 Hawke: The Prime Minister begins as Bob Hawke wrestles the Labor leadership from Bill Hayden and a few weeks later wins the 1983 federal election, thus achieving his life's goal of becoming Prime Minister of Australia. With a novelist's eye, a political scientist's acumen and based on exhaustive research and interviews, d'Alpuget brings to life ministers, political advisers and previously invisible but powerful mandarins, and their byzantine struggles. Here are leaders with vision and ideals, but prey to ego, ambition and human frailties-yet all committed to reforming a country and an economy that, at the time Hawke took over, was heading towards becoming 'the poor white trash of Asia'. Throughout the struggles inside his government, with the opposition and with an electorate that yearned for reform but hated its pain, Hawke maintained his vision for the country. With four consecutive terms in office he changed Australia irrevocably. D'Alpuget's analysis of how power is deployed, and how elections are won, is nothing less than epic, rich with intrigue and drama. In Hawke: The Prime Minister, she has produced a portrait of a remarkable political leader, determined to steer his country through the international forces pounding down on its economy and the ever-present but imperceptible dangers of the Cold War. It explores the role he played in the precarious game of international politics in the last days the Cold War, and at the awakening of the sleeping giant, China. Unknown until now, the book also reveals Hawke's involvement in international reconciliation, recovery and reconstruction-the 'Three Rs' he set out to deliver to Australia in 1983. Hawke: The Prime Minister is a meticulous portrait of a wily, brilliant politician, uncompromisingly ambitious and at the height of his political powers. Blanche was born in Sydney on 3 January 1944. Her father was Lou d'Alpuget, the Editor of The Sun-Herald. She worked at the Mirror before moving to Indonesia with her first husband, Tony Pratt. Her first book Dangerous Visions, a book of short stories, was published in 1967. Her biography of Sir Richard Kirby was released in 1977. Kirby (1904-2001) was a member of the Australian Conciliation and Arbitration Commission from 1947 to 1973, and its President since 1956. He was also a member of the Australian War Crimes Commission. Her best known novel is Turtle Beach, which won the Age Book of the Year Award in 1981. A film adaption was released in 1992 starring Greta Scacchi, Joan Chen and Jack Thompson. Robert James Lee "Bob" Hawke, AC (born 9 December 1929) was the 23rd Prime Minister of Australia and longest serving Australian Labor Party Prime Minister. After a decade as president of the Australian Council of Trade Unions, he entered politics at the 1980 elections and became Prime Minister within three years. He became by far the longest-serving and most electorally successful Labor Prime Minister, achieving the rare feat of winning four consecutive federal elections, and he is Australia's third longest-serving Prime Minister. Part of Hawke's work at the ACTU was the presentation of its annual case for higher wages to the national wages tribunal, the Conciliation and Arbitration Commission. He attained such success and prominence in this role that in 1969 he was encouraged to run for ACTU President, despite the fact that he had never held elected office in a trade union. He was elected to the presidency of the ACTU in 1969 on a modernising platform, by a narrow margin (399 to 350) and with the support of the left of the union movement, including some associated with the Communist Party. Hawke declared publicly that "socialist is not a word I would use to describe myself" and his approach to government was pragmatic. He concerned himself with making improvements to workers' lives from within the traditional institutions of government, rather than to any ideological theory. He opposed the Vietnam war, but was a strong supporter of the US-Australian alliance, and also an emotional supporter of Israel. It was his commitment to the cause of Jewish Refuseniks that led to a planned assassination attempt by the Popular Front for the Liberation of Palestine, and its Australian operative Munif Mohammed Abou Rish. In industrial matters, Hawke continued to demonstrate a preference for and considerable skill at negotiation, and was generally liked and respected by employers as well as the unions he advocated for. As early as 1972 speculation began that he would soon enter Parliament and become Labor leader. But while his career continued successfully, his heavy use of alcohol and his notorious womanising placed considerable strains on his family life. In 1973 Hawke became Federal President of the Labor Party. When the Gough Whitlam government was controversially dismissed by the Governor General in 1975 and the government defeated at the ensuing election, Whitlam initially offered the Labor leadership to Hawke, although it was not within Whitlam's power to decide who would succeed him. Hawke decided not to enter Parliament at that time, a decision he soon regretted. He was, however, influential in averting national strike action. The strain of this period took its toll, and in 1979 he suffered a physical collapse. This shock led Hawke to make a sustained and ultimately successful effort to conquer his alcoholism — John Curtin was his inspiration in this as in other things. He was helped in this by his relationship with the writer Blanche d'Alpuget, who in 1982 published an admiring biography of Hawke. His popularity with the public was unaffected, and polling suggested that he was a far more popular politician than either Bill Hayden, the Labor leader since 1977, or the incumbent Liberal Prime Minister Malcolm Fraser. Hawke was elected to the House of Representatives for the Melbourne seat of Wills at the 1980 Election held on October 18. Immediately upon his entrance into Parliament, Hawke was appointed to the Opposition frontbench, taking his place as Shadow Minister for Industrial Relations, Employment and Youth. With numerous polls (public and private) suggesting that that Hawke was preferred to both Hayden and Prime Minister Fraser, destablilisation of the ALP ensued on July 16, 1982 when a leadership ballot, called upon by Hayden was held. Hayden succeeded, fending off the ambitious Hawke by a mere five votes. Despite defeating Hawke in July, albeit narrowly, Hayden's fate as the ALP's 13th leader was officially sealed on December 4, when a by-election was contested in the Victorian seat of Flinders. A miserably small swing towards Labor convinced many doubters within caucus that only Hawke would guarantee a Labor victory at the upcoming election, due sometime in 1983. Less than two months after Labor's lacklustre performance in Flinders, Hawke's leadership ambitions were realised when Hayden announced his resignation as Labor leader on the morning of February 3, 1983 at a meeting of the shadow ministry in Brisbane. The same day Fraser, hoping to capitalise on Labor's feuding, and unaware of events that took place in Brisbane called an election for March 5, 1983, only to discover that his opponent would not be Hayden, but the overwhelmingly popular Hawke. Five days later, Hawke was formally elected 14th leader of the Australian Labor Party unanimously. A mere four weeks after his unanimous election as Labor leader, Hawke won the 1983 election by a landslide, ending eight years of conservative rule. The inaugural days of the Hawke government were distinctly different from those of the Whitlam era. Rather than immediately initiating extensive reform programmes, Hawke announced that Fraser's pre-election concealment of the budget deficit meant that many of Labor's election commitments would have to be deferred. Hawke managed to persuade the Labor caucus to divide the ministry into two tiers, with only the most important Ministers attending regular cabinet meetings. This was to avoid what Hawke viewed as the unwieldy nature of the 27-member Whitlam cabinet. The caucus under Hawke also exhibited a much more formalised system of parliamentary factions, which significantly altered the dynamics of caucus operations. Hawke used his great authority to carry out a substantial set of policy changes. Accounts from ministers indicate that while Hawke was not usually the driving force for economic reform (that impetus coming from the Treasurer Paul Keating and Industry Minister John Button), he took the role of reaching consensus and providing political guidance on what was electorally feasible and how best to sell it to the public, at which he was highly successful. Hawke proved to be very popular with the Australian electorate and set during his first term the record for the highest approval rating on the ACNielsen Poll (a record which still stands as of 2008). Keating and Hawke provided a study in contrasts. Hawke was a Rhodes Scholar; Keating left high school early. Hawke's enthusiasms were cigars, horse racing and all forms of sport; Keating preferred classical architecture, Mahler symphonies, and collecting antique Swiss cuckoo clocks. Hawke was consensus-driven; Keating revelled in aggressive debate. Hawke was a lapsed Protestant; Keating was a practising Catholic. Despite their differences, the two formed an effective political partnership. Among other reforms, the Hawke Government floated the Australian dollar, deregulated the financial system, dismantled the tariff system, privatised state sector industries, ended subsidisation of loss-making industries, and sold off the state-owned Commonwealth Bank of Australia. The tax system was reformed, with the introduction of fringe benefits tax and a capital gains tax — a reform strongly opposed by the Liberal Party at the time, but not reversed when they returned to office. Hawke benefitted greatly from the disarray into which the Liberal opposition fell after the resignation of Fraser. The Liberals were divided between supporters of the dour, economically and socially conservative John Howard and the urbane Andrew Peacock. The arch-conservative Premier of Queensland, Sir Joh Bjelke-Petersen, also helped Hawke with his "Joh for Canberra" campaign in 1987, which proved highly damaging for the conservatives. Exploiting these divisions, Hawke led the Labor Party to comfortable election victories in 1984 and 1987. Hawke's Prime Ministership saw considerable friction between himself and the grassroots of the Labor Party, who were unhappy at what they viewed as Hawke's iconoclasm and willingness to co-operate with business interests. All Labor Prime Ministers have at times engendered the hostility of the organisational wing of the party, but none more so than Hawke, who expressed his willingness to cull Labor's "sacred cows". The Socialist Left faction, as well as prominent Labor figure Barry Jones, offered severe criticism of a number of government decisions. He has also received criticism for largely siding with the airlines in the 1989 Australian pilots' strike. On social policy, the Hawke government saw gradual reforms. The Whitlam government's universal health insurance system (Medibank), which had been dismantled by Fraser, was restored under a new name, Medicare. A notable success for which the government's response is given considerable credit was Australia's public health campaign about AIDS. In the later years of the Hawke government, Aboriginal affairs saw considerable attention, with an investigation of the idea of a treaty between Aborigines and the government, though this idea was overtaken by events, notably including the Mabo court decision. The Hawke government also made some notable environmental decisions. In its first months in office it stopped the construction of the Franklin Dam, on the Franklin River in Tasmania, responding to a groundswell of protest about the issue. In 1990, a looming tight election saw a tough political operator, Graham Richardson, appointed Environment Minister, whose task it was to attract second-preference votes from the Australian Democrats and other environmental parties. Richardson claimed this as a major factor in the government's narrow re-election in 1990, Hawke's last triumph. The late 1980s recession and high interest rates saw the government in considerable electoral trouble. Although Keating was the main architect of the government's economic policies, he took advantage of Hawke's declining popularity to plan a leadership challenge. In 1988 Hawke had responded to pressure from Keating to step down by making a secret agreement (the so-called "Kirribilli agreement" or "Kirribilli accord") to resign in favour of Keating some time after winning the 1990 elections. After Keating made a speech to the Federal Parliamentary Press Gallery that Hawke considered disloyal, Hawke indicated to Keating that he would renege on the agreement. In June 1991 Keating responded by resigning from Cabinet and challenging for the Labor Party leadership. Hawke defeated Keating's leadership challenge, but he was clearly a wounded leader. Hawke had himself sworn in as Treasurer for one day while he decided between the rival claims of Ralph Willis and John Kerin for the job, eventually choosing Kerin, who proved to be unequal to the job. Hawke's demise came when the new Liberal leader, Dr John Hewson, released a proposal for sweeping economic change, including a goods and services tax and deep cuts to government spending and personal income tax, in November 1991. At the time, Australia was the second lowest taxing country in the OECD. Neither Hawke nor his new Treasurer, John Kerin, could mount an effective response to this challenge, and a rattled Labor Party turned to Keating. At a second challenge, on 20 December 1991, Keating defeated Hawke in a party-room ballot, 56 votes to 51. Hawke resigned from Parliament shortly after, apparently with few regrets, although his bitterness towards Keating surfaced in his memoirs. Hawke now claims to have buried his differences and considers Keating a friend. In July 1990, Hawke had outstripped Malcolm Fraser to become Australia's second-longest serving Prime Minister. This record has since been overtaken by John Howard. He remains the Australian Labor Party's longest-serving Prime Minister.